Fresh. Fun. Fast. That's the best way to describe Simply D - a new spin-off concept by Malaysia’s home grown F&B brand Delicious after 10 successful years. 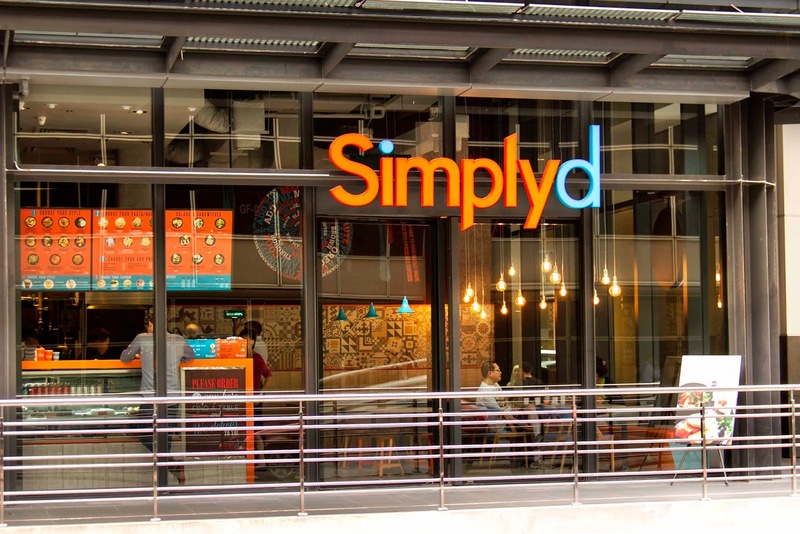 Spearheaded by CEO Steve Allen, Simply D is a simpler but contemporary version of Delicious where fresh, fun and tasty pastas, sandwiches and cakes are served in double quick time at affordable prices. 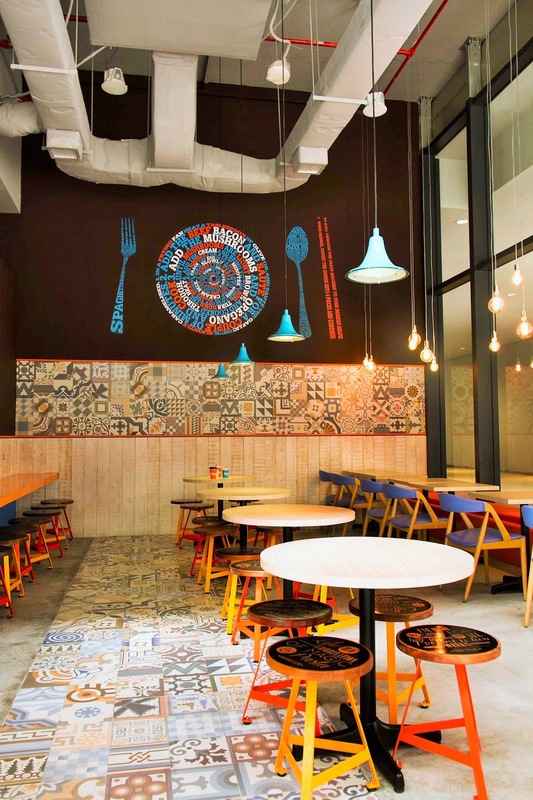 The outlet at Nu Sentral is bright and breezy; awash in shades of welcoming orange and cool blue. Now who wouldn't warm up to a happy colour that induces the appetite? Blue which stands for health and tranquillity is also the link to Delicious. Both hues are juxtaposed against a wood and dark chocolate background to evoke a cosier café ambiance. 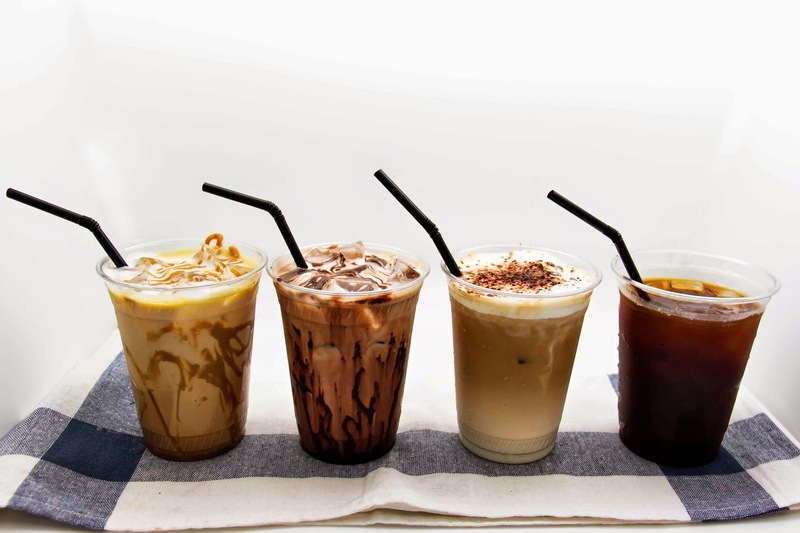 On the menu is a wide variety of pastas, salads, sandwiches, desserts, homemade ice-creams and organic Arabica coffees; distilled from what Delicious is famed for yet conceived to suit current market trends and modern customer needs. 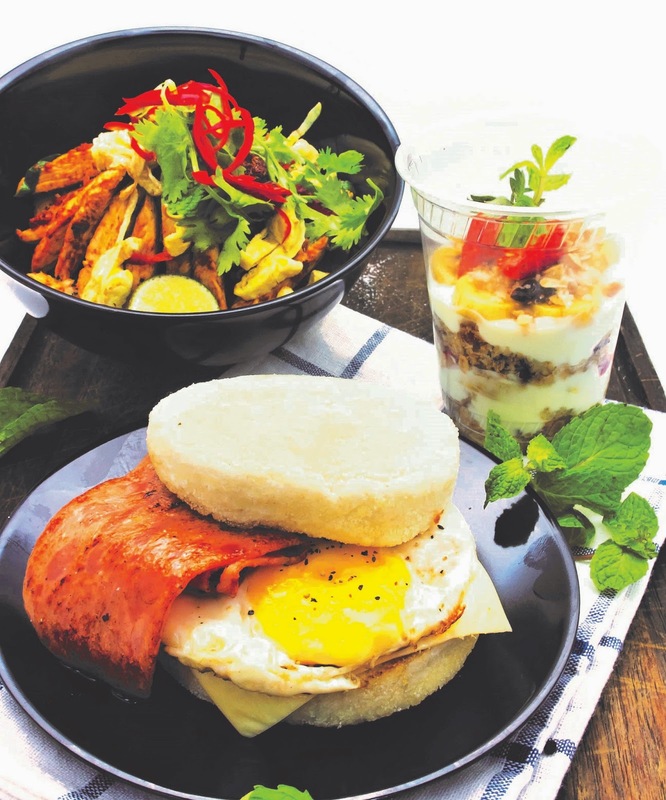 Whether it's breakfast, lunch, tea or dinner, you'd find something to please the tummy. "We keep everything at an affordable price point so that more customers can patronise Simply D," says Steve Allen. "Diners decide how they want their dishes prepared and what ingredients should be added. It's interactive and fun that sees customers ending up with some deliciously interesting results." 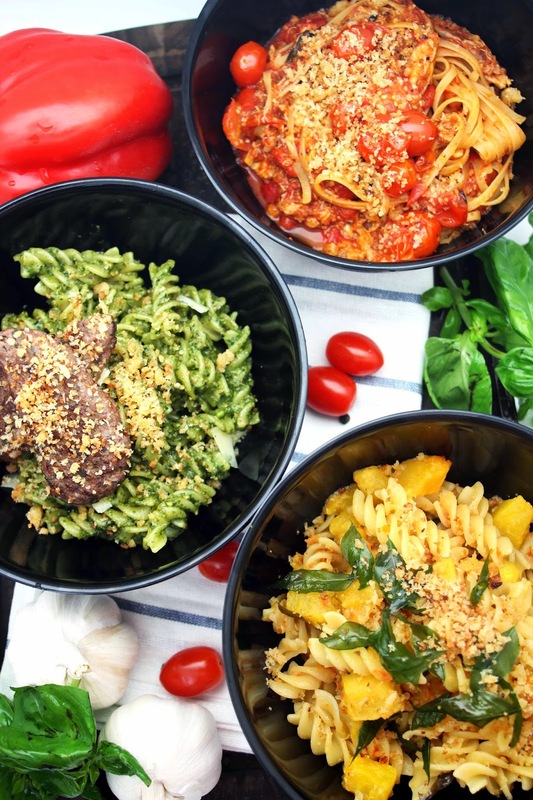 For our visit, our group of four had a field day mixing and matching different noodles and pastas with the various toppings available. We ended up with Chilli Chicken Pastamee (we opted to have Linguine, each bowl at RM13), Salted Egg Pumpkin Fusili (RM12), Soba with Beef Short Ribs Herbal Soup (RM12.50), Vietnamese Salmon Pho (RM15) and the Simply D Spaghettini Laksa (RM12). Doesn't our choice of Chilli Chicken Linguine look simply sedap? It's like 'koh loh pan meen' - dry-tossed noodles with zingy hot sambal, minced chicken, crispy fried anchovies and a whole egg. Once everything is stirred together, you'd get an unctuous ensemble that's rich, hearty and punchy. My other fave is the fusili which came with sliced black mushroom, pumpkin dices and crumbled salted egg with a scattering of curry leaves. Again the combination is familiar yet pleasingly new thanks to the dish's unexpected twists. Chinese meets Japanese and a bit of Western in our bowl of soba with beef-kut-teh. We were taken aback by how yummy the beef short ribs and soba tasted; both thoroughly suffused with the deep-seated nuances of the herbal broth. Depending on personal preferences, both the salmon pho (top pix) and spaghettini laksa (bottom pix) are equally decent. 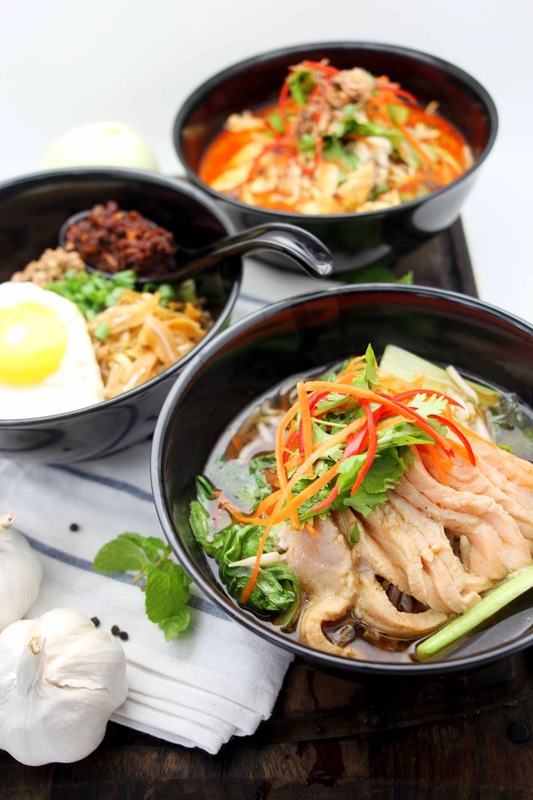 Naturally, the first features a more delicately spiced broth that's appetizingly aromatic while the laksa has more robust and zestier accents. If you want to sample the different variants, go with some friends and you'd have a fine time tangling with them. Having a Chinese herbal tea egg in a Caesar Salad may sound weird but much to our surprise the combo (RM11) worked like a charm. Too bad the Som Tam Salad was a limp affair - the texture and flavour profiles weren't robust or tantalising enough to pique interest but hopefully, these niggling hiccups would have been sorted out by now. If you have a finicky teen in tow who likes everything slapped with pesto, the yummy Mushrooms, Tomatoes & Pesto Sandwich (RM12.50) would be right down her/his lane. Healthy and nutritious, the sandwich disappeared without much ado. Otherwise they may like chomping on the scrumptious Chicken Avocado & Pine Nuts Tortilla Wrap (RM12). Filled with shredded lettuce, lean chicken breast and sliced avo, we felt healthier just sampling this. Heartier appetites may prefer the delectable Beef Burger (RM13) - a nifty crowd-pleasing offering that has juicy beef patty layered with cheese, lettuce, tomatoes and caramalised onions in brioche bread. Definitely way better than those fast-food versions by leaps and bounds. We were tickled by the retro-inspired toast with pandan and coconut ice cream; the melding of hot and cold was so amazingly good that one can easily down two servings at one go. Other sweet treats to try include an airy-light coconut pandan cake, a meringue-embellished coconut tart and a wickedly tempting chocolate brownie. You must wash the meal down with a cup of its organic coffee. I had the smooth mocha that still lingered in my mind until now.